NoName has dry, thickened pads from never stepping on grass, a broken canine tooth, is overweight and has signs of thickening of the gall bladder which will be more closely inspected once back at sanctuary. An amazing morning in Vietnam as we free a female moon bear from a bear bile farm cage after 15 years of isolation and abuse for traditional medicine. Now she is travelling 300km to sanctuary. 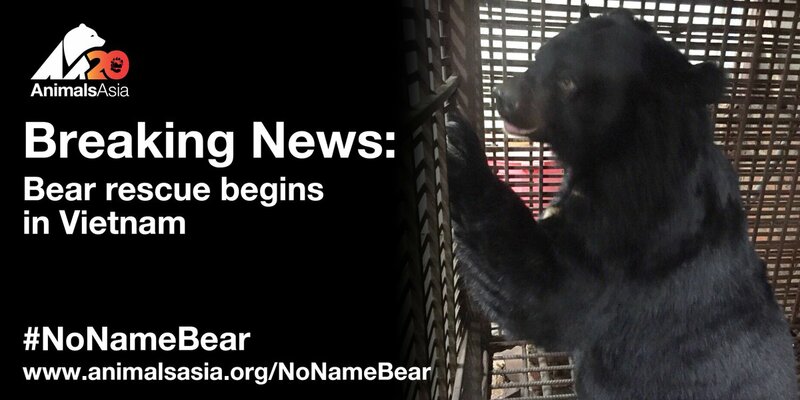 A quick reminder of the where #NoNameBear is heading. After 15+ years on a bear bile farm, she can look forward to grass, trees, climbing structures, pools and other bears play with.